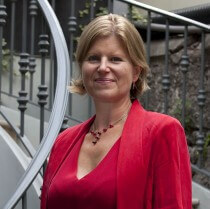 Deirdre Smith is an engineer, tech entrepreneur and Chartered Director of the Institute of Directors. She sits on a number of boards. Deirdre acts as a consultant, mentor and advisor to start-up companies and SMEs through EI and via Redefine.ie, a consultancy group that specializes in Strategies for Growth and Lean & Six Sigma Programmes. With a strong technical, operations and commercial background, Deirdre was the co-founder and CEO of Zandar Technologies from 1999, which developed award-winning video solutions for the broadcast sector worldwide. She led Zandar through their acquisition in 2007 by Harris Corporation, a $5bn US-headquartered company (NYSE: HRS). Deirdre held various management positions with Harris, an international ICT company serving markets in more than 150 countries, until 2010.